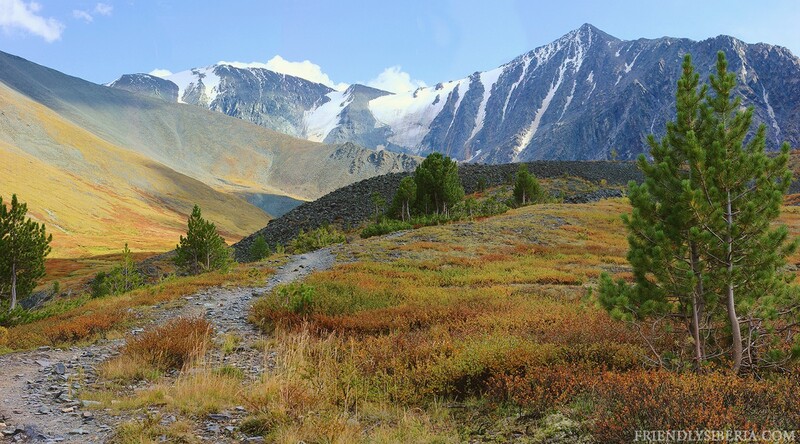 Most famous route in Altay mountains. 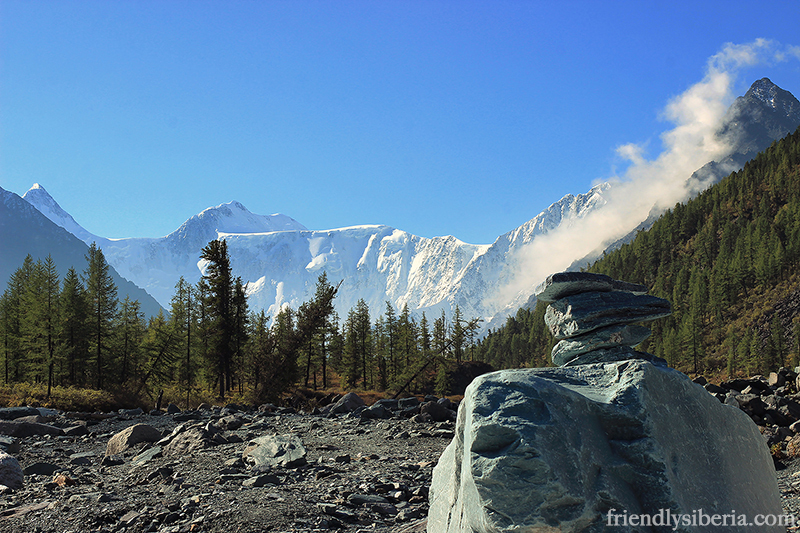 Belukha (also Utch-Sumer or Kadin-Bazhi) – highest mountain of Siberia (4506m) and sacred place for local people. Belukha Mountain is equidistant from three oceans : the Pacific, Atlantic and Indian. Geophysicist have shown that the area near Belukha is the bearer of the powerful energy-intensive processes, there is an intensive energy flow between the mantle, crust and the upper layers of the ionosphere. 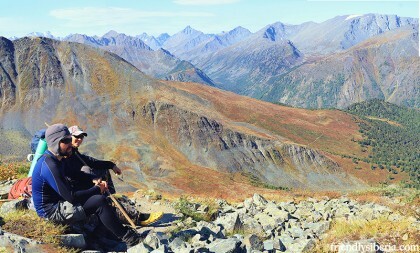 Anyway this area is one of most beautiful places of Siberia. One of the classical route is route along the river Kucherla through Karakurek pass (3060 m). 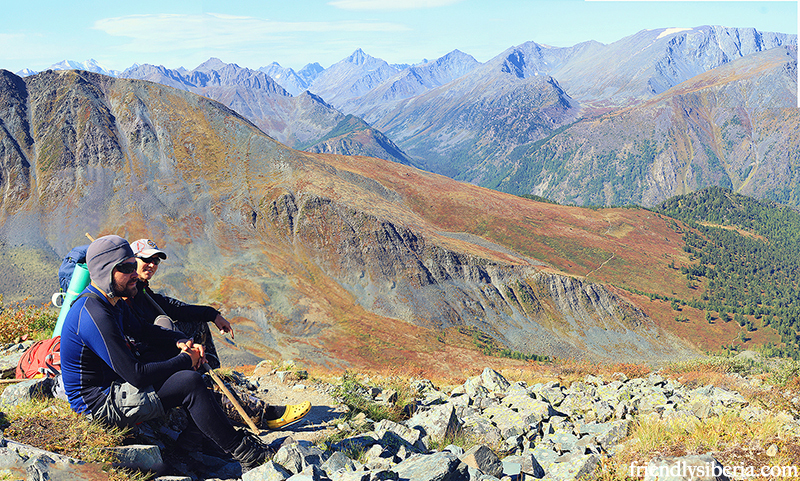 From the top of the pass you can enjoy a breathtaking view of the valley of the river Akkem and Belukha. Before the rise to the pass. Almost top of Karaturek. 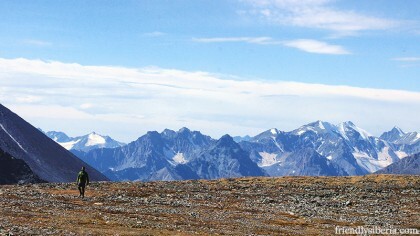 View to Kucherla valley. Chapel of the Archangel Michael. What you should to have for this route? 5 days for this route is a minimum but if you would like to visit Yarlu valley, hight mountain Lake of Spirits, valley of seven lakes and chapel of the Archangel Michael you should have at least 7 days. About equipment: a backpack, sleeping bag and comfortable trekking shoes. It is summer route but sometimes night temperature is about 3-5 C and you will feel better if you have warm sleeping bag. Sometimes on the top of Karaturek have a snow and you should have warm clothes. We have equipment for a group and you don’t worry about food. It’s possible to rent a horse in the village with local guide for all route. The shortest route to the Belukha runs along the river Akkem. It takes 5-7 days. Day 2-3: The route to the gradual heights along the river Akkem. Overnight in tents. Day 4: Radial trekking to the lake of Mountain Spirits, Akkem glacier, the Valley of the Seven Lakes or to the chapel of the Archangel Michael (according to your choice). Evening bonus – Russian Sauna. Day 5: Radial trekking to the valley Jarlu (optional). Day 6: The descent to the waterfall Tekelu. Day 7: The descent to the camp “3 birches”, transfer to the village. The route to Belukha through pass Karaturek. Day 1: The road along the river Kucherla (14 km). We will stop for lunch at the place with ancient rock paintings, petroglyphs. Day 2: The way along the river Tekelyushka through cedar forest. This is a long climbing day, but it takes only about 6 km. Day 3: Pass Karaturek – Akkem lake. This day we will go 8 km along the ridges, from which opens wonderful views of the valleys of Akkem and Kucherla. PreviousTravel to Russia, Siberia. 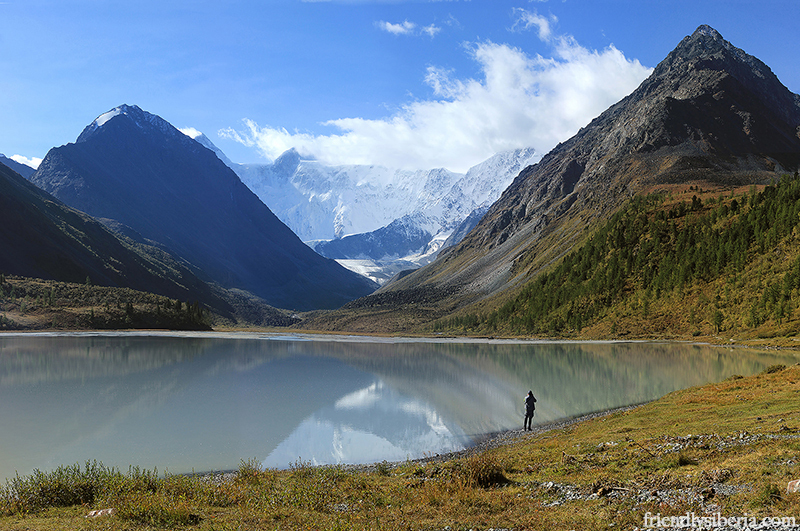 Altay trekking, Siberian rivers and lakes. 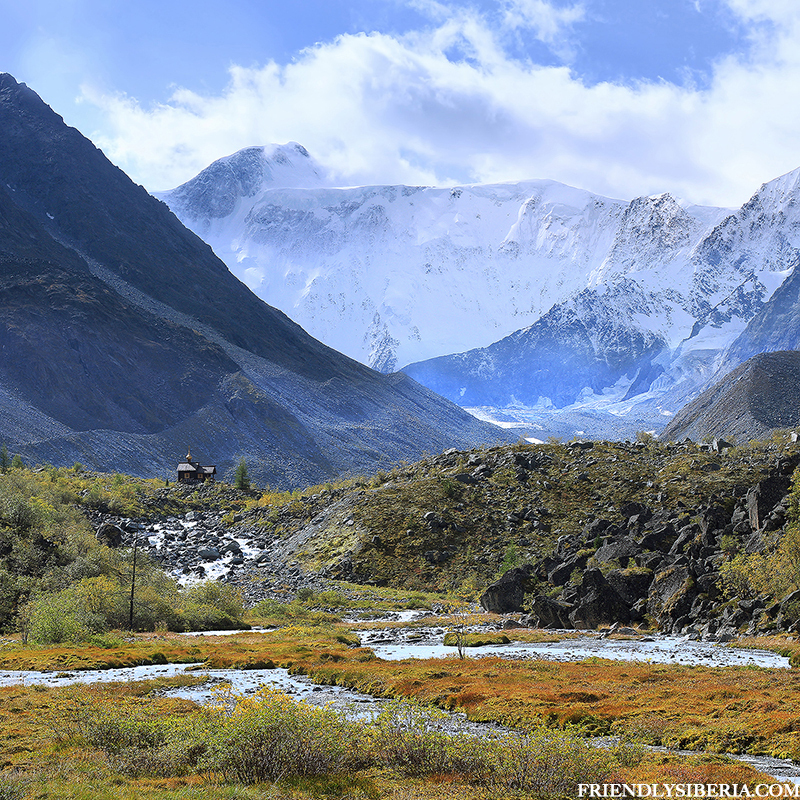 NextTrekking in Siberia: Altay, Shavlinskie lakes.